Egyptians are voting in the first round of long-delayed elections to choose a new parliament. Today’s parliamentary elections are the first since the previous chamber was dissolved by a court ruling in 2012. The authorities say the poll is the final step in a transition to democracy. However, critics say most candidates are supporters of President Abdul Fattah al-Sisi and the new parliament is likely to strengthen his control. Abdul Fattah al-Sisi is a former general who led the 2013 military overthrow of Islamist President Mohamed Morsi, following months of unrest. 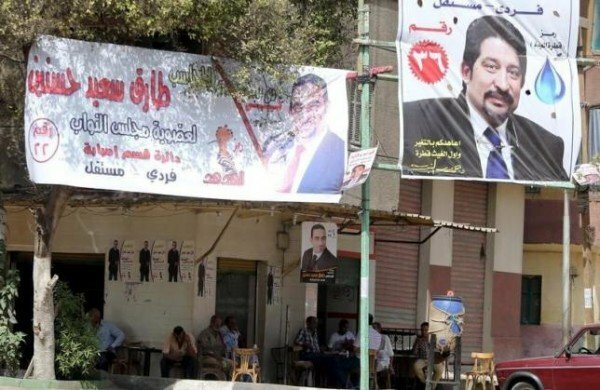 Mohamed Morsi’s party, the Muslim Brotherhood, won about half the seats in the last parliament but is now banned and its leaders are in jail – some facing death sentences. However, many figures from Hosni Mubarak’s regime are on the ballot paper. The election consists of two rounds of voting and results are not expected to be known until early December. Voters are choosing 596 lawmakers for the lower house, the House of Representatives. Security has been tightened across the country with at least 185,000 troops supporting police, Egyptian news agency Mena reported. On October 17, President Abdul Fattah al-Sisi made a televised appeal for Egyptians to vote. “Line up in front of polling stations and plant with your votes the hope for a bright tomorrow for our new Egypt,” he said. While the new parliament appears to have broad powers, it is not expected to challenge the president. Analysts say turnout is expected to be low, with many Egyptians disillusioned with the democratic process.